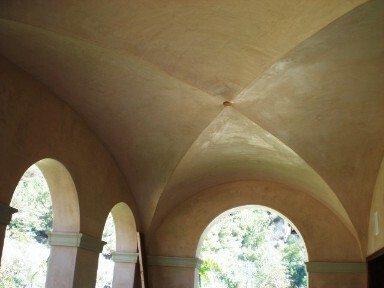 Stucco is not only an architectural style, but also the name of the material that is used in the creation of this style. It is made by combining Portland cement with water. Lime is sometimes added to strengthen the substance. Pigments can be added to create a wide variety of colors. 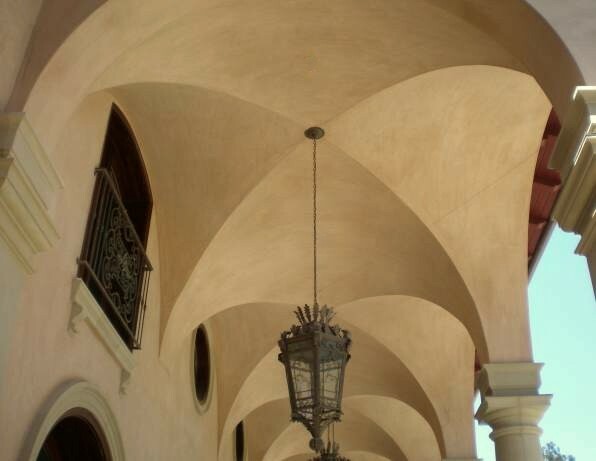 Stucco is a three-step process and is applied to a wood or stone structure. If it is a wood structure, an additional step of lathing (a vapor barrier of 15# felt paper is applied first regardless if Tyvek home wrap is already existent on the OSB board, the next step is the galvanized metal - expansion joints, weep screed, stop, flashings are required as a part of weatherproofing the system, corner-aid and wire mesh/lath) is required to the walls, this needs to happen prior to the scratch/brown coat so it has a way to cling to the structure. The first layer, called a scratch coat, usually consists of cement and sand. Using a scratcher tool, hortizontial lines are tooled into the cement coat - providing a backing to bond the brown coat. This step is used for 3/4" & 7/8" hardcoat. The second layer, called the brown coat, usually consists of cement and sand. It is leveled and scraped smooth. One-Coat-Stucco is applied in coats with a total thickness of 3/8 to 1/2 inches - a brown coat and a finish coat. It has become an acceptable practice to double back up with the brown coat as soon as the scratch coat is sufficiently rigid to accept the second coat. The two coats can be put into place in a single day. The use of fiber improves cohesiveness and provides stucco with crack and impact resistant qualities. The final layer is referred to as the finishing coat. A color coat is colored sand, cement and lime finish that is applied directly to the brown coat. A trowel is used to create various designs or can be troweled smooth. It can have various colors and using coarser or finer sands can change the consistencies. 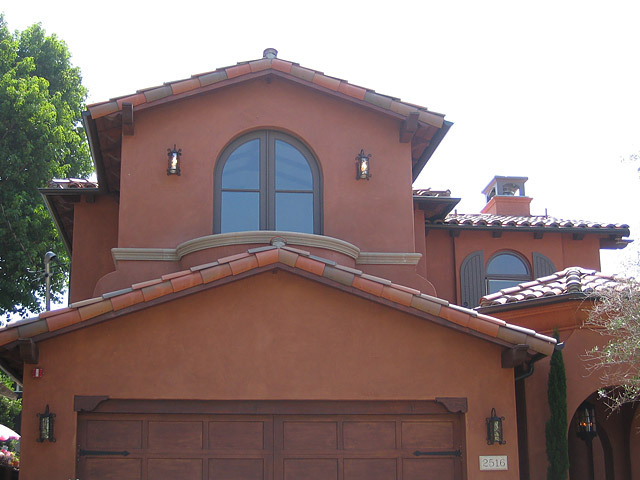 An acrylic finish can be applied in a traditional stucco manner and has a long-lasting quality. It also comes in a variety of colors. Stucco is a fairly inexpensive material and accents fine stonework and patterns beautifully. It is a good weather repellant, withstanding bad weather better than many other materials.